1 registered (madeinuk), 0 Guests and 278 Spiders online. Stuyvesant will not remain Stuyvesant if it must accept (and therefore graduate) many students who are not proficient in math and reading. 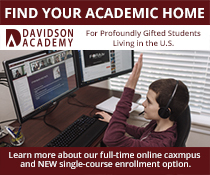 A gifted program that accepts many non-gifted students will no longer be a gifted program. Mayor Bill de Blasio’s proposal to change admissions for eight specialized high schools could lead to students with markedly lower state test scores getting into these competitive schools, according to a review of New York City data. His plan would offer seats to the top 7% of performers in each public middle school. If that method had been in place for this fall, data show the city would have offered spots to more than 300 students who didn’t pass state tests in seventh grade. In addition, offers would have gone to about 1,000 fewer students who excelled on state tests, judging by city Department of Education data obtained through a public-records request. Who should get into in these prestigious schools, including Stuyvesant High School, Bronx High School of Science and Brooklyn Technical High School, has been a matter of heated debate in recent months. Supporters of the current admission system called this new data evidence that the mayor’s proposal would enroll students who aren’t well prepared for their demanding academics. About 5,000 eighth-graders are offered spots in these schools yearly, and nearly 4,000 choose to attend for ninth grade. Under the current system, applicants must ace the famously difficult Specialized High School Admissions Test. Critics say it unfairly bars exceptional students who lack years of test preparation, don’t test well or simply had a bad day during their one shot at the exam. The department says that under the mayor’s plan, admitted students would collectively have state test scores in seventh grade averaging 3.9 in math and English, nearly the same as the 4.1 average of students admitted this year, on a scale of 1 to 4.5. But the individual scores underlying that assertion suggest a wider disparity. Data obtained through a public-records request show the state test scores of 4,959 students who would have received offers for this fall through the mayor’s model, and the scores of those actually admitted. By the state’s definition, a score of 3 on state tests denotes proficiency, and scores below 3 signal students aren’t meeting expectations for their grade. For this fall’s freshman class at specialized high schools, only two students admitted failed to get an average of 3 or better in math and English, according to the city data. Under the mayor’s plan, 318 students scoring below 3 on that measure would have gotten seats. Bobson Wong, a math teacher at a public high school in Queens and graduate of Bronx Science, said “it would be tough to imagine” students scoring below proficiency on state tests in math succeeding at a specialized high school, where calculations become far more complex. Guess there will be no top sports teams or bands either. I didn't realize there was an exam for giftedness. Possibly you may be conflating two different concepts? Criteria for identification as gifted (having advanced academic/intellectual needs which are not typical for one's chronological age and/or grade level) would include some combination of IQ tests and/or aptitude tests and/or achievement tests. Meanwhile the article is speaking of students NOT passing state proficiency exams. The score or threshold for being "proficient" is far lower than for being "gifted." Not being proficient is typically equated with not performing at grade level... specifically performing below grade level. Why not? Everyone’s doing it - even Harvard apparently. That is an exaggeration. The Ivies do have preferences, but the students admitted under those preferences are still well above average nationally, although they are below the "unhooked" admitted students. Well kind of - I have seen SAT/ACT scores via Navience (from a very affluent NJ SD) for kids that went on to Ivies and let's just say that I could spot the underachieving minority candidates just by looking at those scores with unerring accuracy. That is how much lower they were. So, no. They were not well above average nationally. I will concede that they were probably well above average nationally for their demographic, however. These were the children of people with executive level jobs too from what I understand. Not under privileged in the slightest. Whoever they were, I think that it is wrong to admit based on any criteria other than merit. I am sure that I will be banned by the Thought Police for this post but so be it. The truth must be set free. From what I can see, merit is at the bottom of the list of American education priorities. We have a long and unhappy history of discrimination here, and Bill De Blasio seems to be committed to continuing the tradition --- all in the name of fairness. I have a friend who's child got into Hunter and struggled with the academics and pulled her out for 9th grade. Did well on the exam and got in, though maybe got lucky because when we had lunch after, DD said something about Pi and she didn't know what Pi was. DD had to test twice and get interviewed with problem solving for her Hunter equivalent in Canada. My friend asked why they had to make it so hard. I was confused since DD's school is accelerated from when they get in 7th grade and the kids generally thrive on the pace. Some kids do fall behind, end up repeating during the summer and some leave for easier high schools. I think putting kids not qualified for the Sty curriculum is just not fair to the them. The pace and the level makes these very smart kids work for the grades. I am a little shocked at the info expected on her science test and the oral test on her dissection. The teacher is a PhD and expects 1st year college from these 9th grade students. You are setting up kids to fail if they cannot work at that level. I think this is a ridiculous assumption. Other districts that have changed admission requirements to selective magnets haven't moved the needle much on diversity. "But both Kealing and LASA changed their admissions processes going into the current school year, and for the first time considered factors such as race, socioeconomic status or the neighborhood where a student lives. Preliminary admissions numbers for 2018-19 show the schools will maintain the gains, or slightly increase, but again, fall short of diversity goals. “They’ve showed some improvement, but not nearly sufficient enough improvement given the demographics of the district,” said school board member Ted Gordon, who represents the areas of East and Northeast Austin where both schools are located." Generated in 1.035 seconds in which 0.004 seconds were spent on a total of 14 queries. Zlib compression enabled.